We are very pleased to be among thousands who have signed an Internet petition thanking Cardinal Raymond Burke for his exceptional Vatican service and leadership in the Church. Cardinal Burke has been a staunch defender of the Church's unchangeable teachings on the family and the sanctity of life. As Prefect of the Apostolic Signatura, and previously as Archbishop of St. Louis, Cardinal Burke has been unfailing in preaching the Word "in season and out of season" (2 Timothy 4:2). We thank St. John Paul the Great and our beloved Pope Benedict XVI for recognizing the faith, brilliance and leadership of this great man of God, and we are particularly proud to be his fellow alumnus of The Catholic University of America. 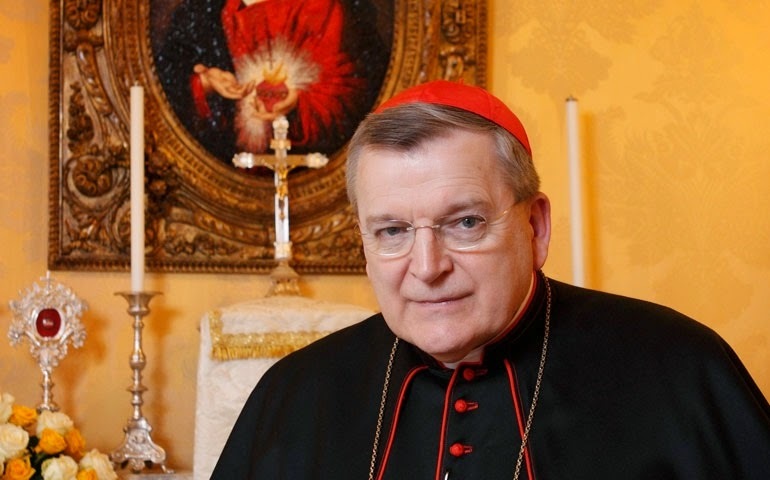 Please join us in thanking Cardinal Burke for his exceptional service to God and to the Church.